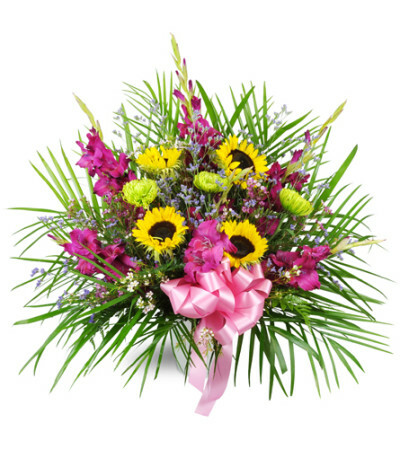 Bright yellow sunflowers and purple gladiolus steal the show in this effervescent tribute, perfect to memorialize the life of your loved one. Featuring sunflowers, purple gladiolus, fuji mums, and more, this arrangement is appropriate to send to the funeral home or service. Beautiful Store, Beautiful Florals, overall the Best!! The flowers were delivered fast and were beautiful. My parents celebrated 70 years and I wanted something special. I live out of state so reviews and recommendations help. I am very happy to recommend to all. Thank you, Capital City. I will be ordering again. 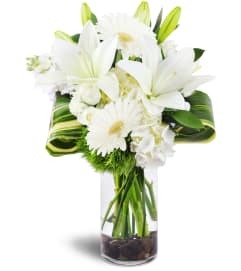 Easy to order on line, delivered when expected, and arrangement was very close to the picture on line. Everything was perfect and my mother loved it! 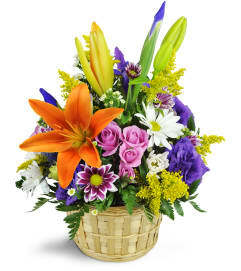 Capital City Florist and Gifts is a Lovingly Florist in Pierre. Buying local matters. Discover how Lovingly supports local florists. Copyrighted images herein are used with permission by Capital City Florist and Gifts.